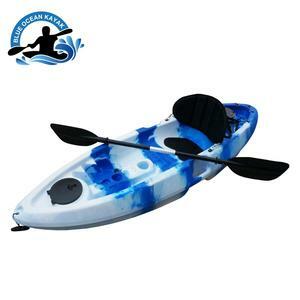 Could you produce PVC inflatable kayak as per our shape9 Yes. b). 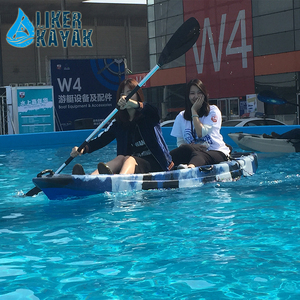 Could we printing our logo and design in the PVC inflatable kayak9 Yes. c). Size, color, style and material can be changed as per customer's request. d). 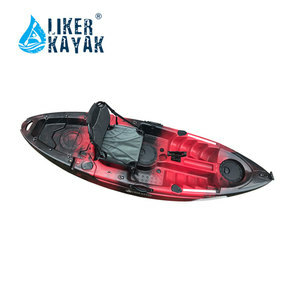 Suzhou Hitu Outdoor Co., Ltd.
5. Solid and mixed colors can be provided as customer's requirement. Q: How long is your delivery time9 A: 15days for a 20ft container, 25days for a 40hq container. Q: What is your terms of payment 9 For sample order, full payment before delivery. 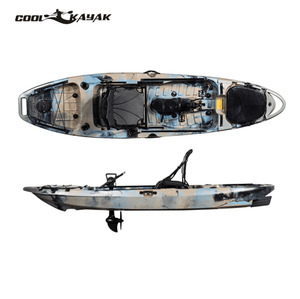 Double Sit in Sea Kayak Model: UB-12 Type: Double sit in NW: 41KGS Dimension: (L)5200*(W)660*(H)430mm Load capacity: 300kgs Stardand parts: Black bungee, plastic handle at the front and behind, , dain cover, one waterproof hatch with bag, two big hatch, foot-rest, foam backrest, rudder Extra parts: 1*Paddle, 1*spray deck Other kayak accessories: Life vest, trolley, roof rack, paddle leash, helmet, waterproof bag Our factory are specializing producing kayaks in Ningbo, Zhejiang, China for many years. Have a professional team worker and reasonable price with high quality. Reliable and experienced. Four pcs fishing holders can satisfy your fishing,or you can add another adjust rod holder. 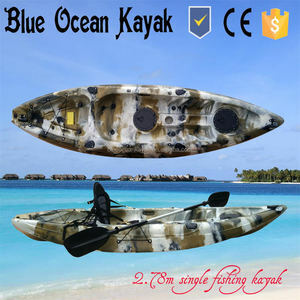 130pcs We can make kayak color as your demand,this only for reference. 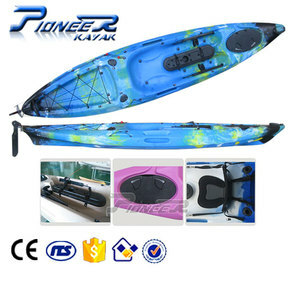 Q2.Can i order different types kayak into one container9 A2.Yes,you can choose interest type and packing together. &bull; We highly appreciate your any enquiry by email, fax or instant message. &bull; Please feel free to call us at any time if there is any questions. Only you offer us drawing or sample we can make mould then make products for you. 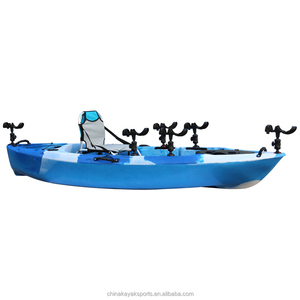 The double plastic kayak for sale include 2 hatches, totally 6 fishing rod holders, side handles and bungees. 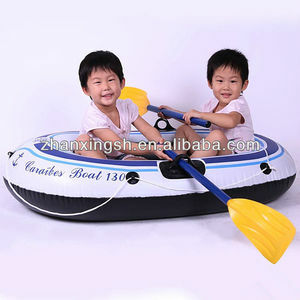 Still, this model 2000120 double plastic kayak can be used as a place where you can have picnic on waters. To achieve that, various new products are designed monthly, customized samples are sent frequently. 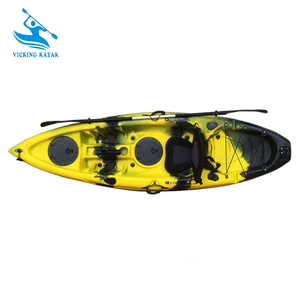 It will be the best choice to use Begreen Transparent Clear Kayak Canoes. Impact resistance: polycarbonate body makes it strong and tough, unbreakable. Because this can get tedious we recommend doing this for more long-term storage plans. Q. 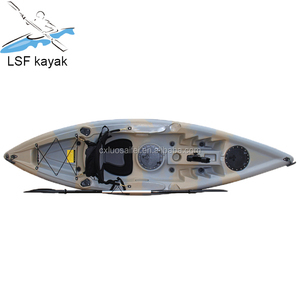 The plug design and use of set screws enable the fin to be easily removed and installed for storage or travel. 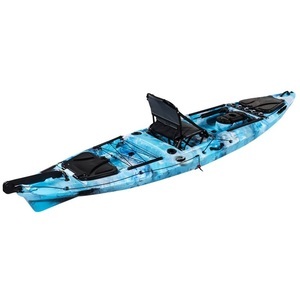 ZRSUP offers only the highest quality inflatable paddle boards constructed of the highest quality materials. There is no need to worry about buying a product made of low quality material which is why you receive a 2 year warranty.